Last week I shared my take on an old handout that I found my filing cabinet titled “Facts Every Poet Should Know.” I promised that at a later time I would share my own thoughts on what poets should now, so here is my list. 1) Be wary of scam artists. Let’s face it, there are possibly millions of poet in the world, and many people who would like to take advantage of them. The most important guideline to keep in mind is that, if it seems too good to be true, it probably is. Be wary of poetry anthology sites that publish any poem, provided the poets will pony up $50 or more to pre-order a copy. Be wary of self-proclaimed “agents” who request upfront fees just to review your work or offer writing advice. Agents earn their money from a commission on sales and should not request a dime until they’ve made a sale. Be wary of companies preying on self-publishing authors with excessive prices for editing, book preparation and marketing services. To weed out the worst offenders in the above categories, visit Preditors & Editors as well as WinningWriters.com. 2) Read extensively. Just like it’s important for a musician to listen to music or for an artist to study works of art, it’s essential that poets read poetry. 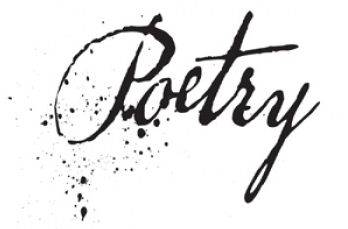 Read not just poetry but other sorts of writing, as well, because the more you expose yourself to, the more you learn about what works and what you’d like to emulate. 3) Pay attention to line breaks. Unless you are writing in a form which dictates when a line will end, you should use line breaks to direct the reader’s attention. Consider the end of a line to be a very short pause, like half a comma, as the eye drops down to the next line. While it is tempting to break lines solely for visual reasons (such as making each line roughly the same length) or to break according to grammatical phrases, I’d encourage you to read your poems aloud and listen to exactly what the line breaks do to the poem. You may find that changing line breaks can turn a drab poem into a fab poem. 4) Know your markets. Before you submit any work to a publication, read a sample issue or two. If the magazine frequently publishes theme issues, drop a quick, professional e-mail to the editor to ask about the upcoming themes. That way you can send your work that has the best chance of being accepted by that publication. 5) Follow the rules, and then break them. If you are writing a form poem, remember to use what Shakespeare called a “prosp’rous departure from form.” This meant he would throw in a couple extra syllables or skip a rhyme if it added to the piece’s impact. If you’re writing in form, stick to the form as much as possible, but look for ways to change it up, because that can often raise a poem above the mere adherence to form and into true artistry. 6) Kill your babies. Of course, I don’t literally mean to harm your offspring, but you need to keep an open mind when it comes to revising your poem, even if that means cutting a line you love. For the sake of the poem, you might find a certain line doesn’t belong, or actually detracts from the rest of the poem. But take heart: you can always keep an “outcasts” file where you stick phrases and lines cut from earlier works. I once used such an orphan as the title for another poem, solving two problems. 7) Write what is hardest to say. This was particularly good advice I learned from my grad school instructors. Often we dance around the truth, or we take two or three stanzas to get to the meat of what it is that we really want to say. That’s fine for a first draft, but when you revise, be prepared to cut those intro paragraphs in order to get to the real emotional heart of your poem. In the same vein, many poets stop poems before they truly reach what they need to write about. In the revision process, it can be helpful to push yourself further and see where that takes you. 8 ) Avoid clichés. This is true for any writing, but for some reason it tends to come up more often in poetry. Perhaps that is because most poets know to avoid using the hackneyed phrases themselves, but they still fall back on overused ideas and phrases. If something sounds too familiar, change it. 9) Nothing is too small or too large to write about. You can find inspiration anywhere, so don’t sit around waiting for the “big idea” to hit you. Take a walk around the neighborhood and make note of what you see. What are your neighbors doing? What does the sky look like? What thoughts emerge, based on what you see? Some of my best ideas come to me while I’m on the move. 10) Be bold. Take chances. Learn. Stretch yourself. Be it subject matter or form, be willing to try new things and see where it leads you. I would be happy to hear anybody’s thoughts on this list, as well as suggestions for other things that poets need to know. Did I leave anything out?